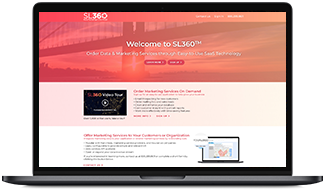 SL360 connects you with marketing data through easy-to-use cloud products that help you work more efficiently and grow marketing ROI. There is no cost to sign up! Reach your best prospects more easily. Sign up today and order marketing services more efficiently. If you have questions about SL360 please contact a Data Scientist at 800-399-8611 or at info@sl360.com. Copyright © SL360™, Inc. All rights reserved.